Please note that waste and recycling collections completed by Biffa on behalf of Manchester City Council will be slightly different over the Christmas and New Year bank holidays. Collections that usually take place on a Monday will not be affected. All collections will return to normal after this. Any problems with waste collections should be reported at www.manchester.gov.uk/recycling – you will also find some information about recycling real Christmas trees in apartment buildings here. 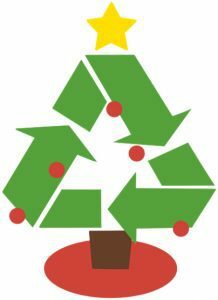 The page isn’t live yet, but as with previous years, if you contact Christmas.Tree.Manchester@biffa.co.uk a collection of real Christmas trees can be arranged during January 2019. On a related note, you will be aware that we have been making improvements to the recycling arrangements in apartment buildings. The aim is to encourage residents to recycle more and make recycling the first and easiest choice. This has included making recycling materials available free-of-charge and carrying out a communication campaign both online and offline. We have also altered the number of general waste containers that we collect from each building so that every building has a balanced capacity. Those who manage buildings in the central and north of the city will be aware of this. We are happy to report that recycling rates are on the rise, and we’d like to thank you for your efforts to support these improvements. It is important to the city and to the environment that we all do everything we can to reduce how much we waste and recycle what we can. Those in the centre and south of the city who haven’t been affected so far, will see changes during the next couple of months. If you haven’t heard from us and you have buildings in the centre or south of the city, please do reply to this email with the addresses and we’ll be happy to provide further specific advice.